Safety is uncompromising, ever evolving and something that is woven into the culture of an organization. DV Meter believes that no accidents or incidents are acceptable, no matter how small. 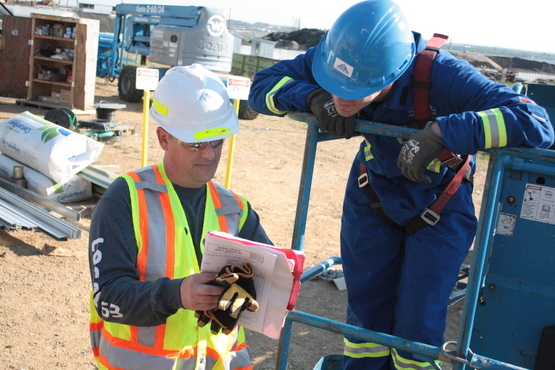 Health and safety is habit best established through planning and the proper mindset, and if we look at every incident as preventable, we will build a safer company. This is why safety is a pivotal part of our corporate message, so that our employees, customers and families all feel our genuine commitment to quality of life. This is our statement to the everyone that nothing takes priority over safety. As DV Meter’s long-standing initiative, we have been driving a culture of transparency and accountability. A stable framework of open communication that empowers employees to ask questions, open dialogues with management and help us be an industry leader in safety. Every program should constantly evolve, taking in new processes, systems and equipment that make the job easier and safer. That is how we approach our HSE program; we build policies and standards, apply behavior based safety, and continuously invest in the best tools. We then take these components and tirelessly refine them so that we are always providing our team with everything they need to be safe. We sincerely believe our goal of “accident free operations” is realistic and attainable. This means going beyond the industry standards of the Certificate of Recognition, and making safety a part of everyday life. We know that when people truly believe that safety is attainable, and that they control that outcome, they will work towards a better workplace. Driving a safety culture requires commitment from management and action from everyone else, using leadership to inspire an ethic of a healthy environment. DV Meter will continue to promote safety as our top priority, taking no short cuts in our pursuit of an accident free company. A strong safety record is something we show proudly, knowing that it was a team effort towards our goals that earned these awards. We thank the hard work and continuous commitment of our employees to our safety program. By striving for these results, we know that people are getting home safe.